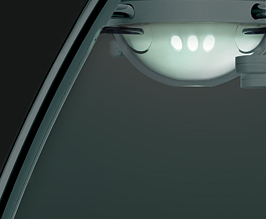 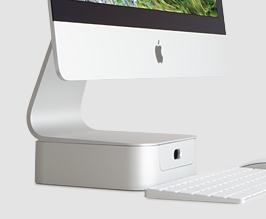 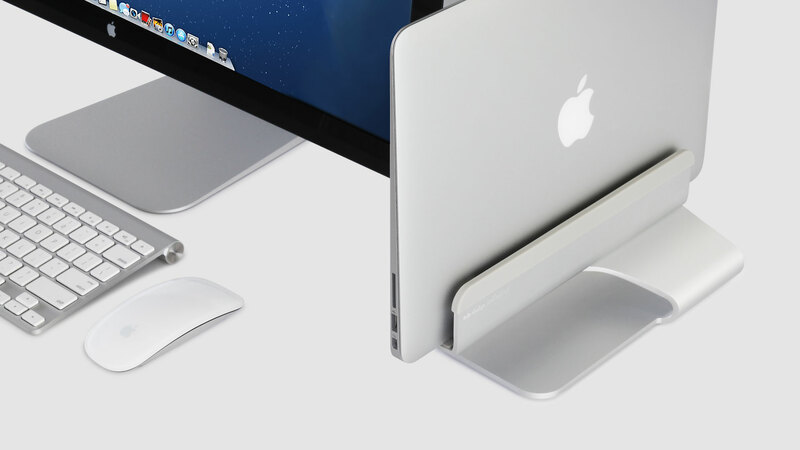 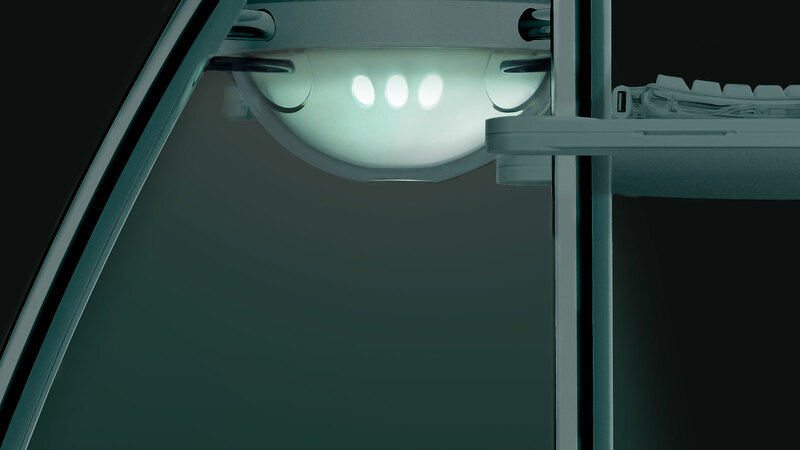 Angle/height-adjustable stand ensures you get the precise view. 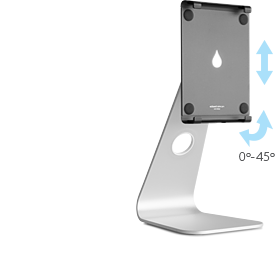 Tilts iPad with a simple push/pull (0º to 45º). 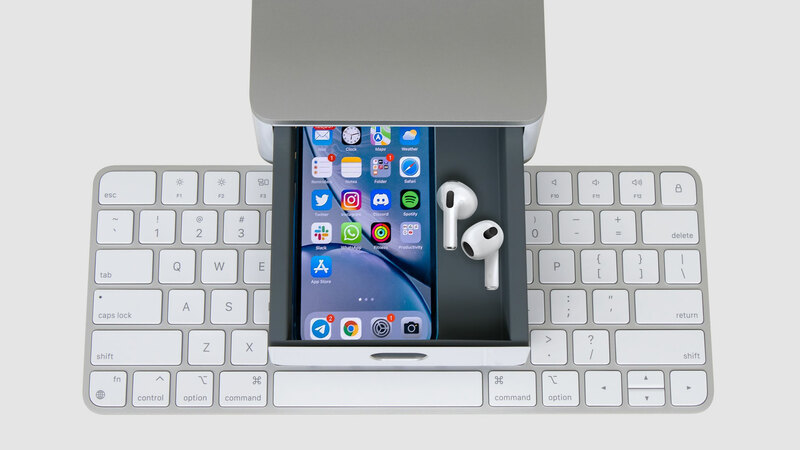 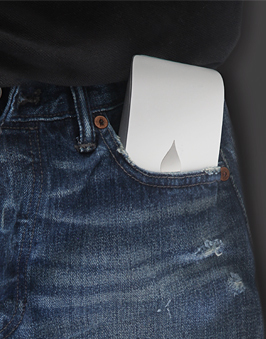 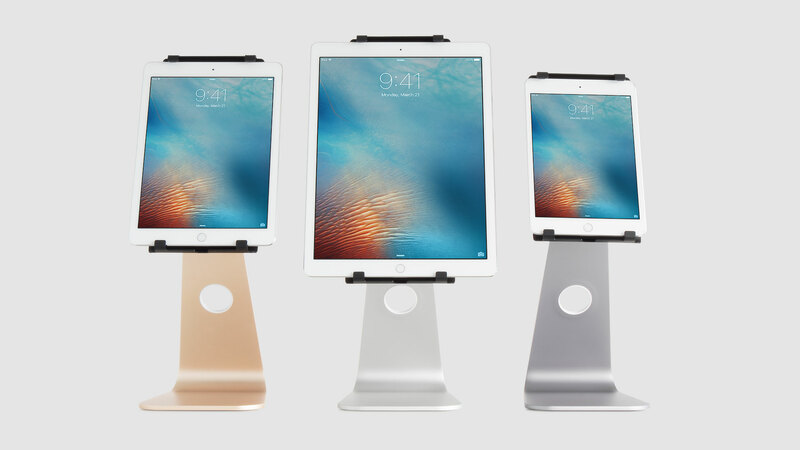 Raises iPad with a simple slide-'n'-lock. 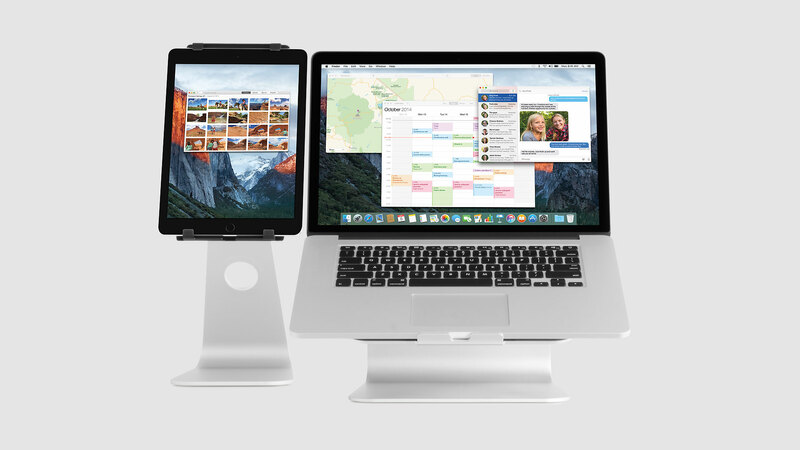 Fits iPad Pro 12.9” and compatible with most 13-inch and smaller tablets. 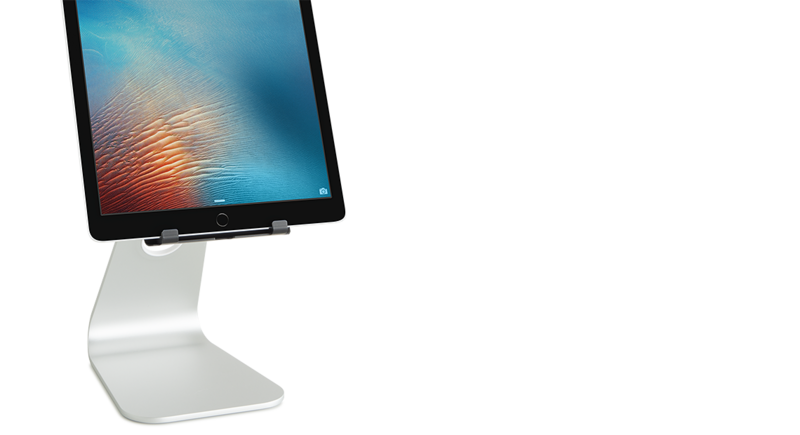 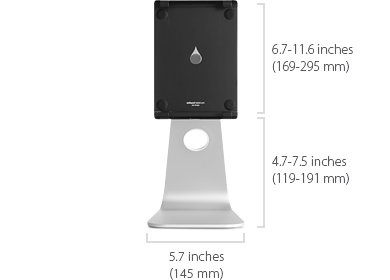 Acoustic base provides clearer sound by channelling sound from iPad's down-facing speaker forward (for iPad Pro/Air 9.7” in portrait mode). 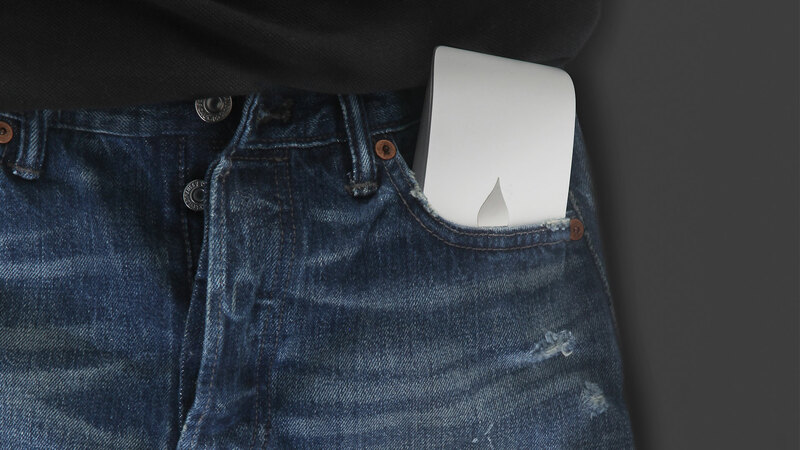 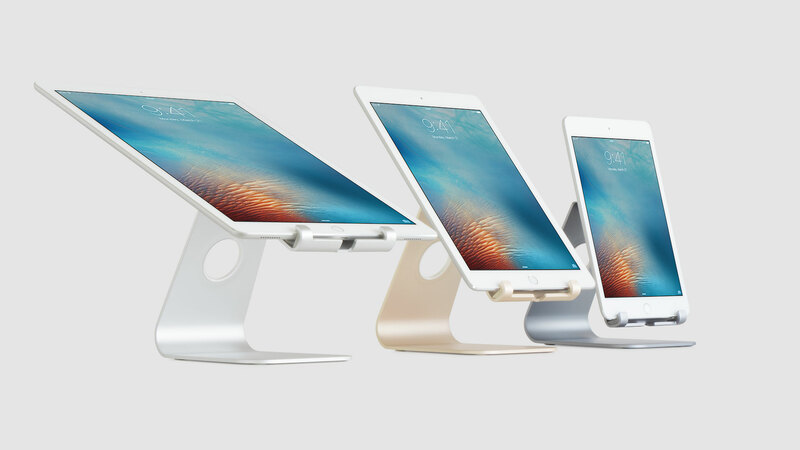 This iPad product is mStanding... er, outstanding... in its field. 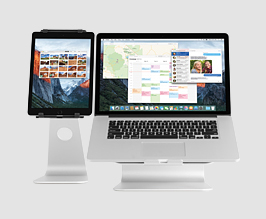 I recommend the mstand tablet pro for its versatility and ergonomic benefits. 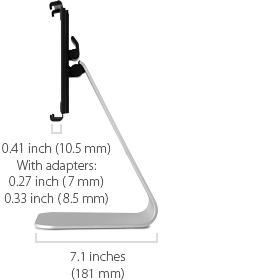 Can mStand tablet pro be used with a case? 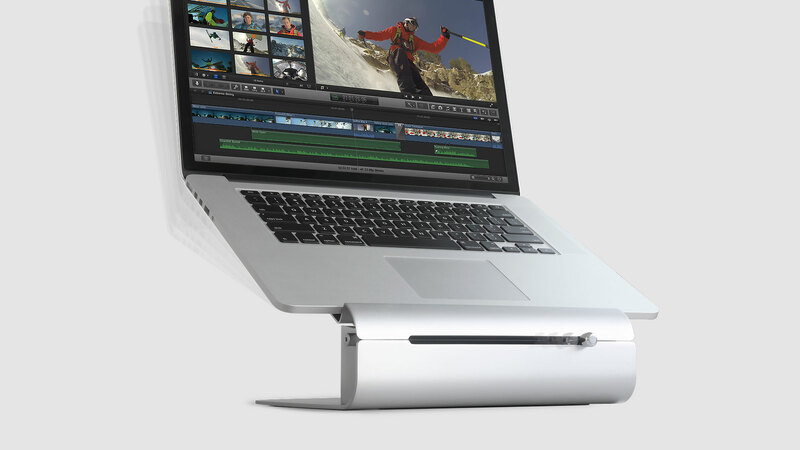 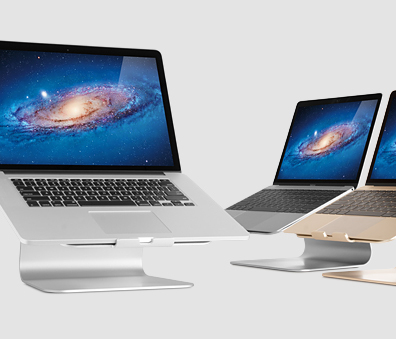 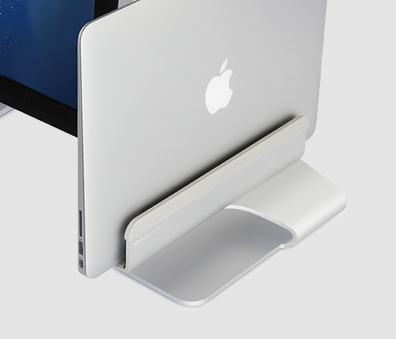 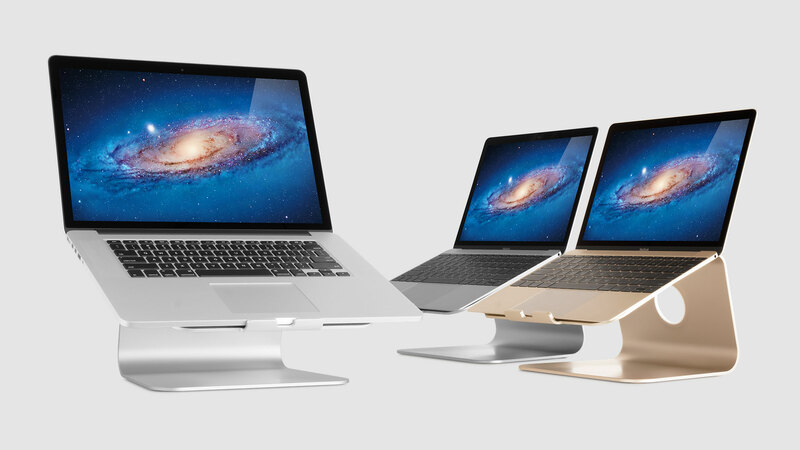 mStand tablet pro can accommodate Apple Smart Cover and Case. 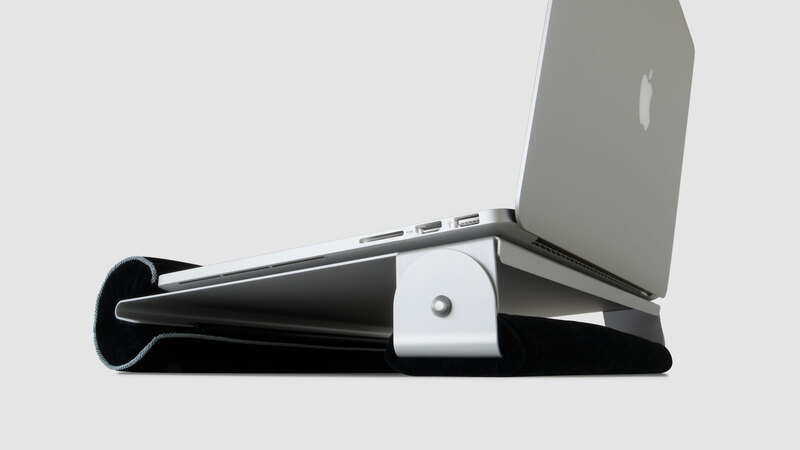 All other cases up to 0.47 inch (12mm) of total thickness will work perfectly too.